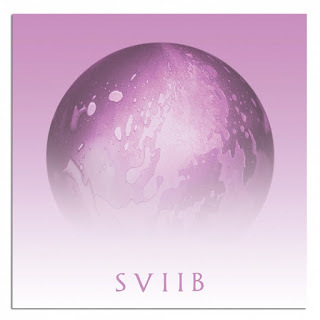 ‘SVIIB’ is the latest and final album from New York’s School of Seven Bells. It’s also, as the title suggests, their most definitive. Just as the three-piece has diminished to final band member Claudia Deheza, so too has the sound focused. ‘SVIIB’ delivers dreamy synth pop with an 80s twist, slickly produced and solidly constructed. If that sounds a little familiar, you’re not wrong. Opener Ablaze sets the tone with its driving guitar lines, twinkling synths and dreamily reverbed vocals, whilst On My Heart takes on a more hypnotic, swirling vibe. Ballad Open Your Eyes is the album’s real highlight, with its delicate production and wistful melodies. Later Music Takes Me has an almost Madonna circa ‘Ray of Light’ feel as Deheza plays with the band’s sound. Enjoyable as it is, though, it all seems a little indistinct. ‘SVIIB’ just doesn’t quite do enough to stand out from the crowd. It’s not dreamy and hypnotic enough, but neither is it a punchy pop album of addictive hooks. There’s more to this story though. During production of the album, band member Benjamin Curtis tragically died of the rare condition T-cell lymphoblastic lymphoma. It was left to Deheza to finish the album in his memory. With this knowledge, the album suddenly takes on new meaning. When Deheza sings lines like “there’s no potion in the world to fix me, or no other magic to relieve this” on Signals, you know it’s really Curtis’ voice. The slowly curling synths of Confusion are full of fragility. And it’s clear Deheza sings lines like “I know your heart is broken and you’ve been weeping” on Open Your Eyes with a heavy heart, an already emotional track morphing into a real tear-jerker. As a final bow for the band and an enduring token from Curtis, ‘SVIIB’ is a fine and honourable album. It’s just a tragedy that its narrative somewhat overshadows the music. Listen: ‘SVIIB’ is out now.